Phone ko switch ON karte hi display screen par Phone brand logo aane ke bad phone auto switch off ho jata hai. Phone on-off problem solution karna bahut hi aasan hai. 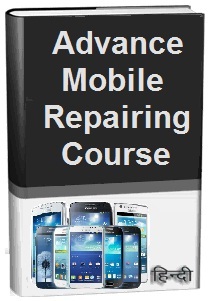 Mobile repairing me aaj hum on-off fault solve karna learning karenge. how to solve phone on-off fault in phone repairing. Aaiye jante hai on-off ki problems kaise hoti hai. 1. Phone ON karte hi OFF hona. 2. Phone me Vibration hokar OFF hona. On-Off faults ko kaise solve kare aaiye jante hai, Auto ON-OFF ki fault software or hardware dono atrah ki problem ho skti hai. Yahan hum mobile hardware or software dono tarah se solve karna sikhenge. 1. Sabse pahle Phone me Full Charge Battery Lagaye. 2. ON-OFF Fault Solve na ho to Battery Change kare. 3. Phone ko Open kare karke disassemble kare. 4. Phone PCB ko IPA Solution se Wash Kare or Clean kare. 5. Battery Connector ko Multimeter se Check kare. 6. Battery Connector Pins loose ho to Resold or Change kare. 7. ON- OFF Switch Button Ko Check Kare. ON - OFF switch section track ko check kare. Track broken ho to jumper banaye. 8. Phone me latest version iOS Software Flashing Kare. Notes: Phone ki yah fault software, battery ki vazah se hoti hai. Phone me flashing karne se fault solve ho jati hai. But many time battery or battery connector ki faulty se bhi yah fault hoti hai. 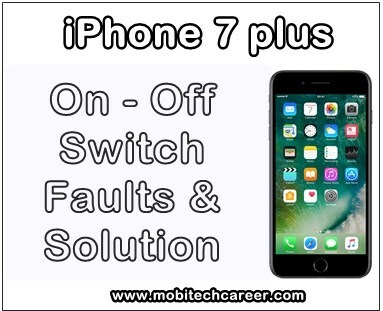 Keywords: how to, fix, solve, repair, Apple iPhone 7 plus, auto, switch on, off, faults, problems, solution, phone repairing, course, software, pdf book, download, ebook, book, apps, android app, itune apps, windows apps, notes, tutorials, guide, tips, tricks, syllabus, jumper book, online free mobile repair course in Hindi.